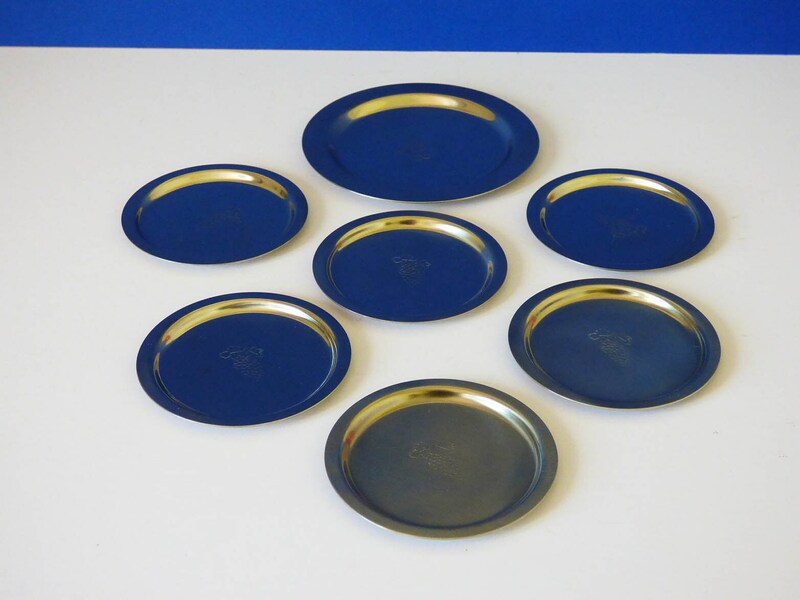 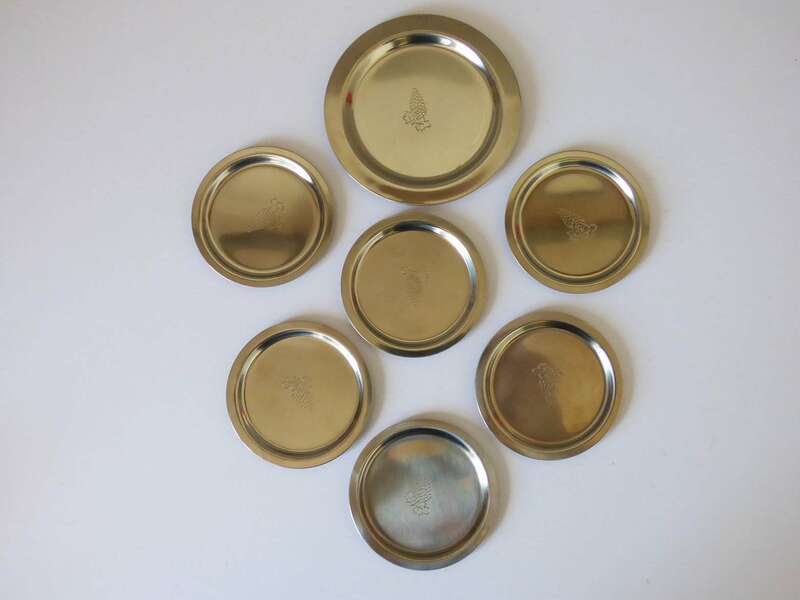 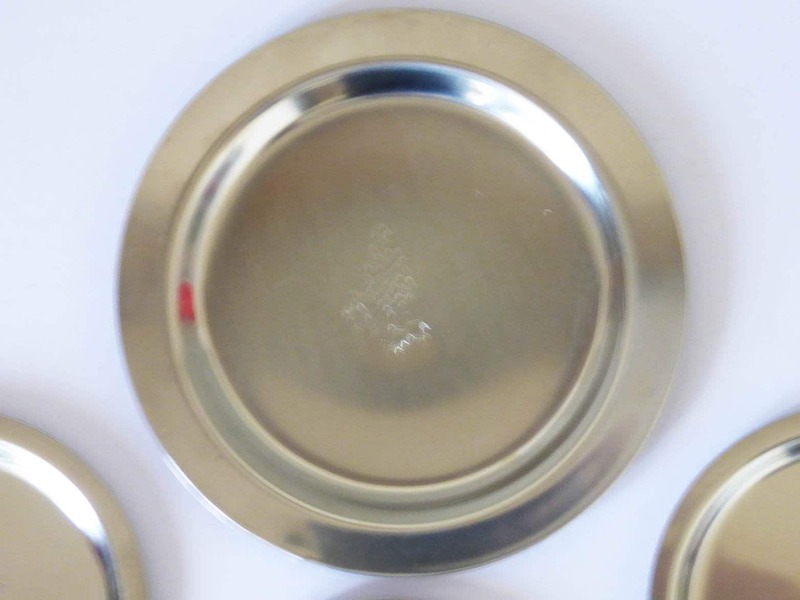 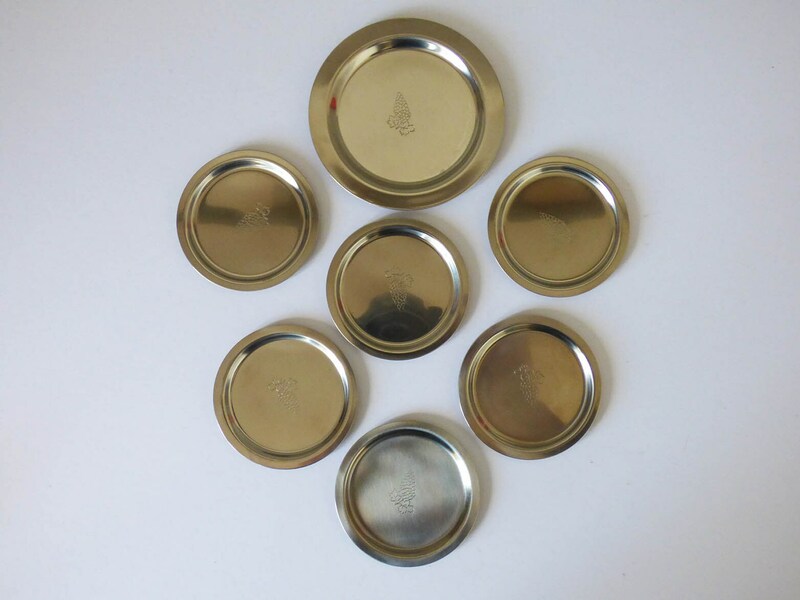 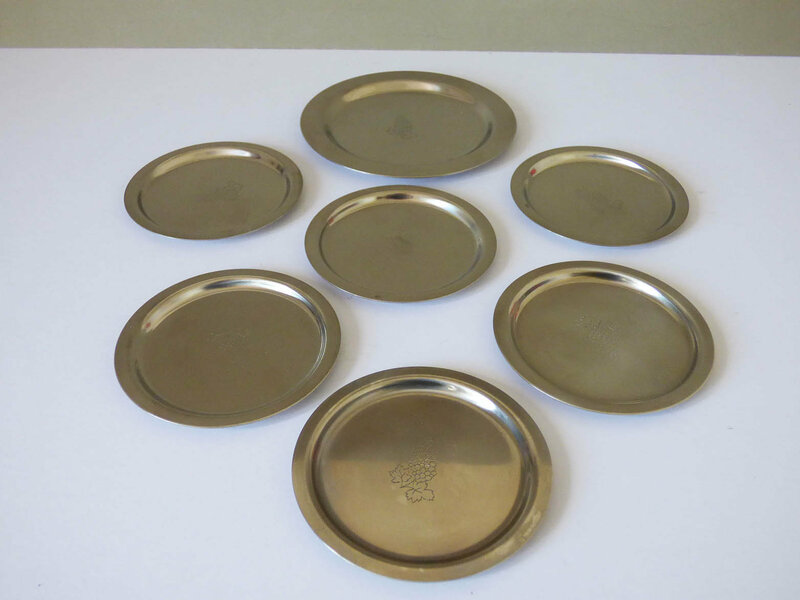 6 Stunning stainless steel coasters and one large coaster to sit your bottle of wine. 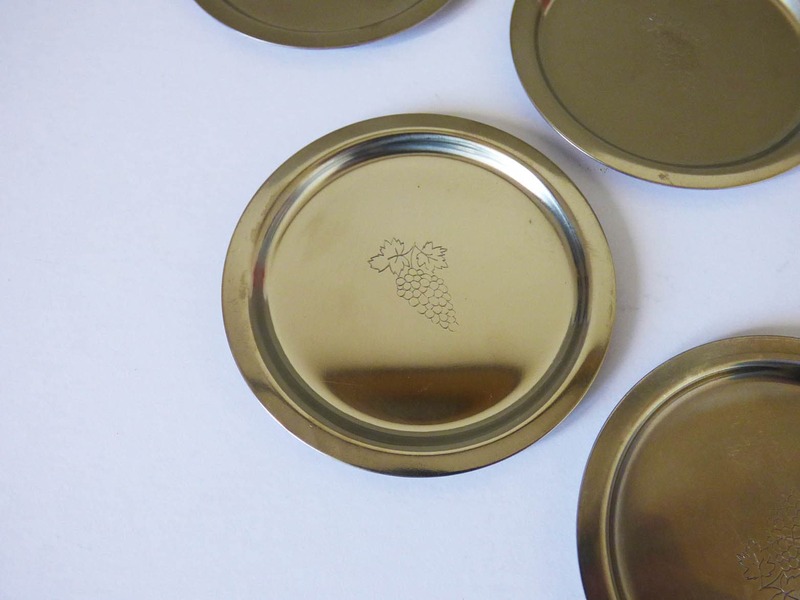 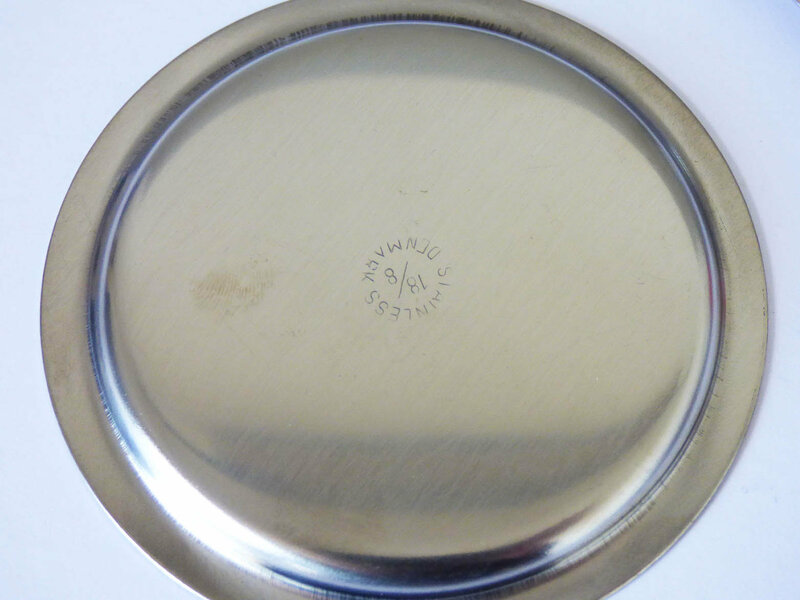 Each of the coasters has a simple etched illustration of grapes, and is marked to the base Stainless 18/9 Denmark. 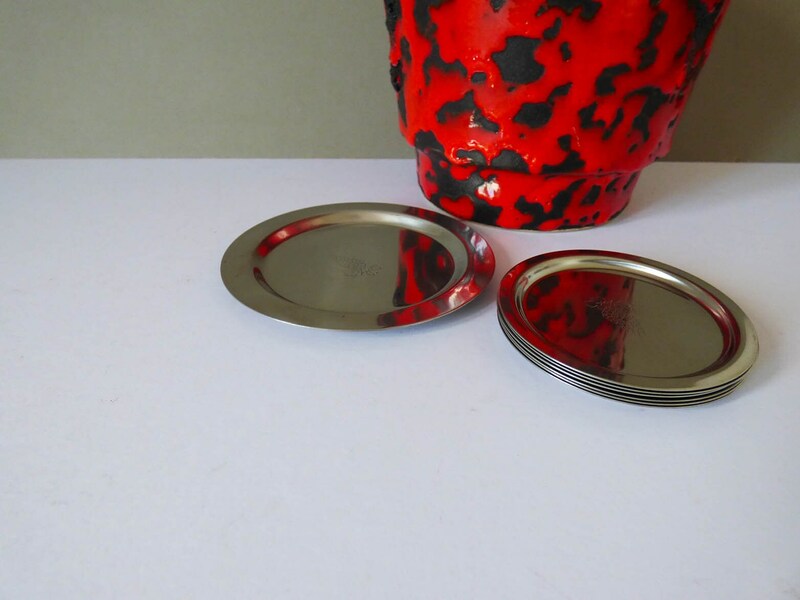 A great set, which would make a great gift for those special friends who love wine.